Sexual and gender-based violence is a public health crisis around the world. The World Health Organization estimates that as many as 1 in 3 women globally are affected by physical or sexual violence, and a lack of empowerment, autonomy, education and opportunity for women and girls negatively affects both their health and that of their children and families. 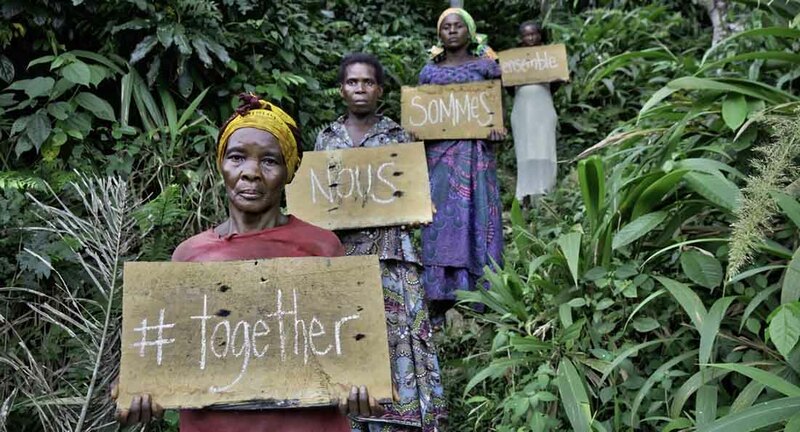 IMA World Health has integrated SGBV interventions and behavior change communication around women’s empowerment into broader health programs for more than a decade, focusing primarily in the Democratic Republic of Congo. Tushinde Ujeuri builds on the highly successful USAID Ushindi Project (2010-2017), through which IMA provided SGBV prevention and response activities in highest risk areas of Eastern Congo. IMA’s holistic approach to addressing SGBV incorporates social and financial recovery, in addition to medical care and psychosocial support. Ushindi directly assisted nearly 30,000 survivors of SGBV from 2010 to 2017. IMA World Health also serves as the founding organization and secretariat of We Will Speak Out U.S., a coalition of faith-based organizations working together to empower faith communities to speak out against SGBV. In 2014, IMA, on behalf of the coalition, partnered with Sojourners to release Broken Silence, a report based on a Lifeway Research survey of 1,000 U.S.-based Protestant pastors on their understanding of and response to SGBV in their congregations and communities. The report found that pastors often underestimate the prevalence of SGBV, speak infrequently about it and have even responded to disclosures of violence in ways that may inadvertently do more harm than good. IMA deepened this research through a partnership with the Science, Religion, and Culture Program at Harvard Divinity School. After a year-long qualitative study of seven Boston-area congregations and three chaplains from two local universities, IMA and HDS released the “Interrogating the Silence” report in 2015. This study confirmed that religious leaders have little support and little training in dealing with issues related to SGBV and concluded that, while religious leaders are a powerful resource for victims and survivors of SGBV, they need more training on the available tools, gender relations, and the social mechanisms that contribute to violence. The USAID-IMA World Health Counter-Gender Based Violence Program (known locally in Swahili as “Tushinde Ujeuri”) establishes community-based safe houses and supports community groups in eastern DRC to prevent and respond to SGBV with the goal of reducing violence, resolving stigma and improving holistic care for survivors. Building on the highly successful USAID Ushindi program IMA managed from 2010-2017, Tushinde uses a holistic approach to meet survivors’ basic health needs, including urgent medical care and psychosocial counseling; legal support; and socioeconomic and livelihood activities such as village savings and loan associations, literacy circles, women’s empowerment groups and more to help survivors gain financial independence and social support. Together, these activities restore health, dignity, justice and opportunity to survivors and those affected by SGBV. IMA is assisting USAID/OFDA in reaching survivors of sexual and gender-based violence with PEP kits in 16 provinces of Eastern DRC, contributing to reduced transmission of HIV and sexually-transmitted infections. Previously, kits were assembled outside of the country; through the current effort, IMA assembles the kits in its Goma office, significantly decreasing costs while increasing the number of kits that can be distributed. IMA also works through the GBV Cluster in all 16 provinces to report and document OFDA/USAID partner supplies and to fill residual gaps of PEP kits in areas at risk for stock-out.